SHREVEPORT, LA — Dr. Jenifer K. Ward, provost and dean of the college at Centenary since June 2014, has been named the 11th president of Luther College in Decorah, Iowa. Ward will take up her new leadership position at the Iowa liberal arts college on July 1, 2019. Ward was chosen to lead Luther College after a nationwide search. 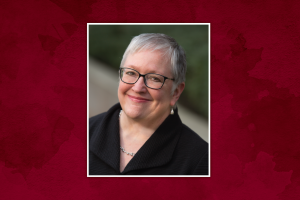 She will be the third sitting president of a selective liberal arts college to have served as a senior administrator at Centenary, joining former provost Dr. Darrel Colson of Wartburg College and former vice president for advancement Dr. Katherine Fell of the University of Findlay. “We are proud that our colleagues nationally have recognized the strong leadership at Centenary and the opportunities for professional growth we provide,” said Holoman. Ward came to Centenary from Cornish College of the Arts in Seattle, where she served as dean of the college. She is a graduate of Hendrix College in Arkansas and holds a Ph.D. in Germanic languages and literatures from Vanderbilt University. Prior to her tenure at Cornish College of the Arts, she was chair of the Department of Modern Languages, Literatures & Cultures at Gustavus Adolphus College in Minnesota. She has also held faculty positions at Rhodes College and the College of Wooster.